The ongoing investigation is being conducted by KSP Post 6 Detective Chis Lairson. 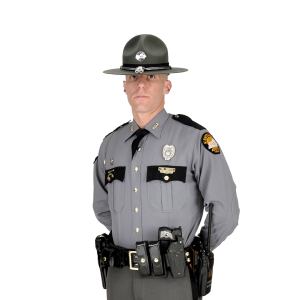 Falmouth, Ky. (January 21, 2019) — The Kentucky State Police Dry Ridge Post is investigating the death of a Georgetown man that died as a result of an incident that occurred yesterday afternoon in Falmouth, KY. The initial investigation indicates that KSP Post 6 received a call from Pendleton County Dispatch on January 20th at approximately 1:23 p.m., after EMS transported an injured individual to Harrison County Memorial Hospital. Christopher R Powell, 31 years old of Georgetown, died as a result of his injuries and was pronounced deceased at the Harrison Memorial. The ongoing investigation alleges that Powell was fatally injured while in the area of 2nd Street in Falmouth. Anyone with information that could be linked to his death is asked to contact the Kentucky State Police at (859) 428-1212. Update: On January 22, 2019 three individuals were arrested in connection with the murder of Christopher Powell. Shawn Richie, 45 years old from Falmouth KY, was charged with Manslaughter 1st degree. Jason Wallace, 39 years old from Butler KY, was charged with Manslaughter 1st degree. Subsequently Christopher Harris, 41 years old from Falmouth KY, was arrested for Tampering with Physical Evidence and Hindering Apprehension of a Fugitive. All three individuals were lodged at the Boone County Detention Center and the investigation is ongoing.